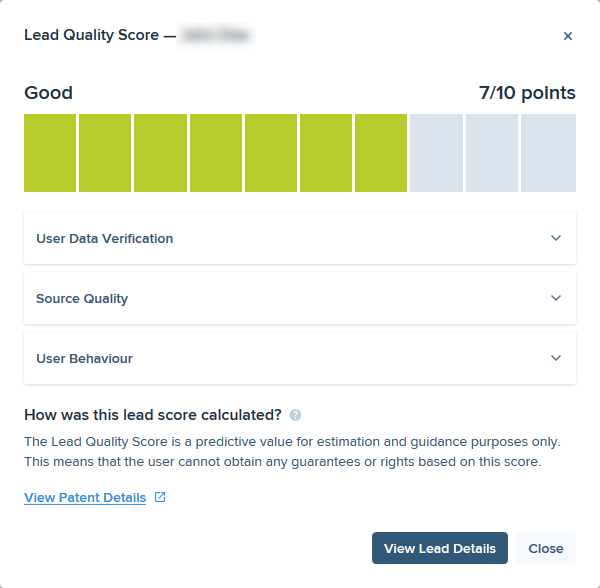 Leads Overview shows the detailed information about all leads in PX system, including vertical, publisher and buyer of each lead, lead quality, fraud score, credit rating, contact information specified in the lead, conversion and various filtering options. To view the list of all leads in PX, go to Leads section. Leads Overview spreadsheet can be sorted by columns. Click any column heading to sort the spreadsheet down, click one more time to sort it up. 1. Creation Date shows the date when the lead was sent to PX from the publisher. 2. Vertical is a lead generation niche. 3. Payout - the amount of money received from the buyer(s) for this lead. 4. Publisher Payout - the amount of money reported to the publisher for this lead. 5. Publisher - the name of the publisher who sent this lead to PX. 6. First Name - the first name of the person specified in the lead. 7. Last Name - the last name of the person specified in the lead. 8. Email - the email of the person specified in the lead. 9. State - the state specified in the lead. 11. Disposition - the disposition status of the lead. 12. Escore (from 0 to 1000) - the Escore of the lead based on third-party companies' verifications. No - if the lead wasn't returned or return was rejected. None - the lead wasn't verified according to configurations. N/A - the lead wasn't sold. UpSell - source displayed for upsell leads. Upsell leads are leads captured when an Internet user, after submitting one form, clicks on another offer on the end page. All forms, which are submitted after the first one, become upsell leads and usually are added PX revenue. 17. Lead Guid shows an internal unique ID of the lead generated in PX platform. 1. Transaction ID is a unique ID of the transaction generated for the incoming lead when it gets into PX or sent in the lead's information. 2. Buyer Campaign ID - the unique ID of the campaign, to which the lead was sold. If the Lead is sold, but has 0 Slots, that means this lead was sold exclusively. 3. Slots - the number of filled slots, meaning how many times shared lead was sold. 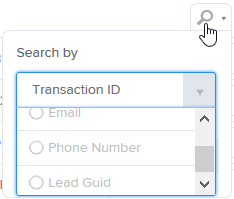 Source shows the unique ID of the lead source, which consists of Campaign ID, Publisher ID, and Sub ID. 4. Sub ID is tracking parameter that reflects publisher in different verticals and/or shows where the publisher's traffic comes from. 5. Offer ID a unique ID of the Offer. 6. Phone Number - the phone number of the person specified in the lead. 7. Fraud Score shows how reliable is the information provided in the lead. Click here for more information. Preview button links to Lead Preview page with full lead details. 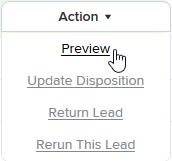 Update Disposition option allows updating the Disposition Status of this lead. Return Lead option allows to return this lead. Rerun This Lead allows to reprocess this Lead so that it goes through the lead flow once more. Multiple Leads can be reprocessed using Rerun Management. 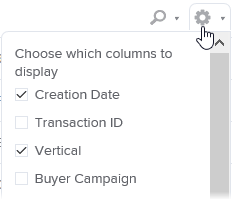 Leads Overview spreadsheet can be filtered by date, by Publisher (and by Publisher Sub ID), by Buyer (and by Buyer Campaign), by Offer and by Vertical. In total, 2048 leads can be displayed in Leads Overview spreadsheet. 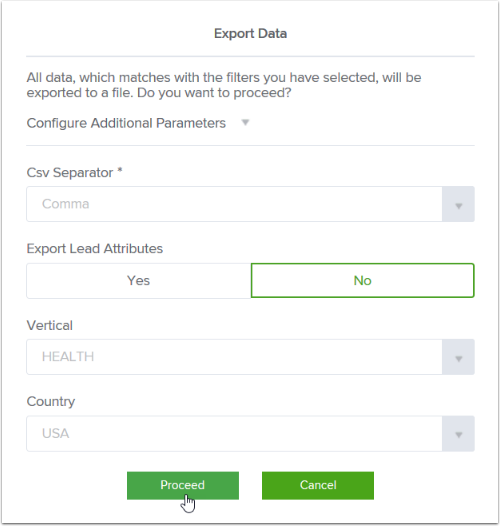 If you need to view more Leads, use Export option. Click Action and select to receive the corresponding CSV or XML file.